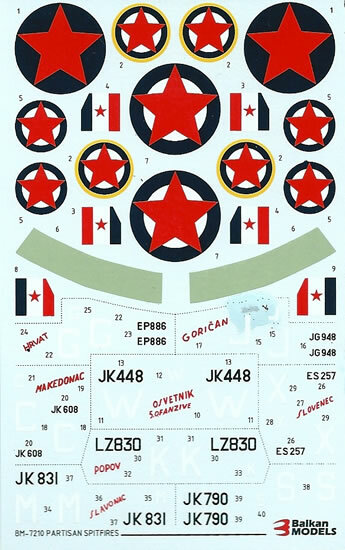 The decals reviewed here relate to a very specific subject, the first Yugoslav fighter squadron formed within the RAF. No 352 Sqn came into being in April 1944 in Libya flying Hurricanes, although by June of the same year it had converted to the Spitfire Mk.V. It deployed to Italy and joined No 282 Wing, RAF in June 1944 in the ground attack role. 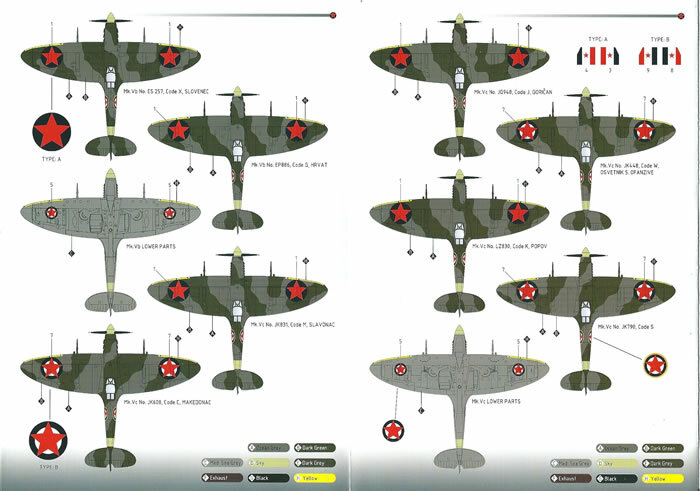 The decals and their instructions come in an A-5 plastic zip-lock bag along with a long fold out sheet that provides eight A-5 sized glossy colour pages. 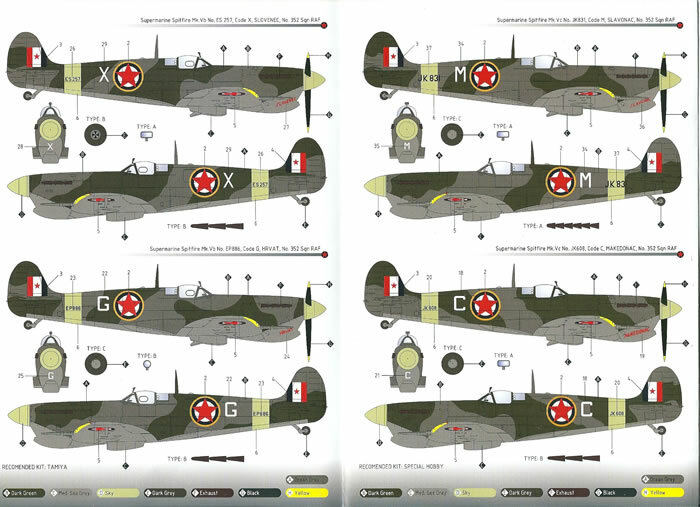 Each of the eight subjects is covered by a coloured 4-view painting & markings guide that details each spitfire’s pilot and various features specific to the aircraft concerned. 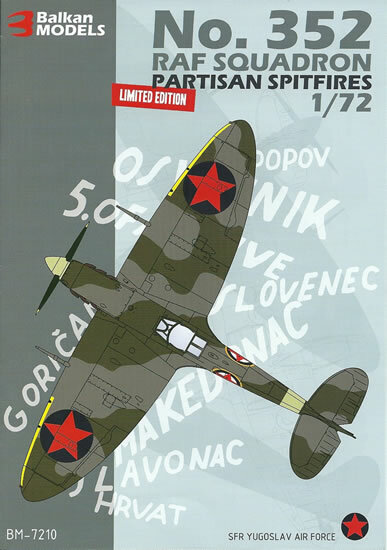 Half of the Spitfires are noted as having six rather than three-stub ejector exhausts.